Cell therapy, cytotherapy, cytotherapeutics has the potential to provide cures for many significant ailments and disorders by repairing and reversing disease through regenerative medicine. The clinical application cells began in 1956 with the first successful bone marrow transplant, performed between twins, with bone marrow taken from the healthy identical twin, and given to the other, who had leukaemia. Peripheral blood stem cell transplantations (PBSCT) are now the most common cell therapy procedure. Its clinical introduction in 1986 replaced bone marrow (BM) as a stem cell source to almost 100% in the and to autologous approximately 75% in the allogeneic transplant setting. The first successful cord blood stem cell transplant was performed 30 years ago in October 1988 with a boy with Fanconi anemia. Cord blood stem cell transplants have now been successfully given to treat patients with more than 70 diseases. It is estimated that there are over 600 000 UCB units stored worldwide, and >30 000 UCBTs have been performed. Cord blood is now being enriched with functional stem and progenitor cells and also immune modulatory cells. A new cell therapy, donor lymphocyte infusion, emerged in the 1990s to ensure that the donor stem cells remain engrafted whereby lymphocytes from the blood of a donor are given to a patient who has already received a hematopoietic stem cells from the same donor. Mesenchymal stem cells (MSCs) the most significant stem cells for cell therapy were first isolated and characterized in 1974 and have been used in the clinic since 2004. 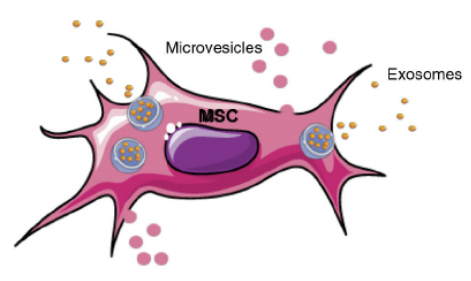 MSCs are multipotent stromal cells that make and restore skeletal tissue and can differentiate into diverse cell types: bone, cartilage, muscle and fat. Bone marrow was the original and most common source of MSCs and they are also found in Wharton’s Jelly, Cord Blood, Adipose Tissue, Molar Teeth, Amniotic Fluid and Peripheral Blood. Today, there are about 500 clinical trials investigating their therapeutic uses in treating haematological diseases, GVHD, diabetes, inflammatory diseases, and diseases in the liver, kidneys, and lungs, as well as cardiovascular, bone and cartilage, neurological, and autoimmune diseases. Hematopoietic stem cells (HSCs) used in the treatment of cancers and other immune system disorders are found in the red bone marrow in the central part of most bones but principally in the pelvis, femur, and sternum. HSCs give rise to a variety of blood cells: monocytes, macrophages, neutrophils, basophils, eosinophils, erythrocytes, dendritic cells, platelets. T cells, B cells, and natural killer cells. The cell therapy industry is rapidly expanding. Hardly a day goes by without hearing of some new cell involved in a new disease treatment: Numerous cellular immunotherapies are currently in clinical development, using natural killer cells, dendritic cells (DCs), macrophages, polyclonal or antigen-specific T cells and lymphokine-activated killer cells. Stem cell-derived dopamine neurons for brain repair in Parkinson’s disease. Neural progenitor cells derived from bone marrow mesenchymal stem cells (called MSC-NPs) for treatment of MS; allogenic natural killer cells (NK-cells) generated ex vivo from umbilical cord blood progenitor cells in cancer immunotherapy. MSCs derived from placenta for the treatment of critical limb ischemia and acute radiation syndrome and to trigger regeneration of damaged muscle. One placenta can produce sufficient cells for 20,000 treatments. Endogenous cardiac stem cells, discovered in 2003, are progenitor cells harboured within the adult mammalian heart that function to replenish adult mammalian cardiomyocytes lost by wear and tear and injury throughout the adult life of the heart. Biotechnology companies are more and more involved in adoptive cell therapies for solid tumours. Adoptive Cell Therapy (ACT) are engineered cells, wherein a patient’s circulating lymphocytes are isolated, genetically modified with retroviruses to recognize tumour cells (Gene Therapy), expanded and then transfused into the patient. There are close to 40 companies developing redirected T cells or NK cells for therapeutic use. There are also 800+ cell therapy clinical trials underway around the world. Cell-based therapeutics currently hold great hope of bringing revolutionary cures to patients and are the basis for pioneering approaches in regenerative medicine. Regulation 1394/2007 on advanced therapy medicinal products (“ATMP Regulation”). EudraLex, The Rules Governing Medicinal Products in the European Union, Volume 4, Good Manufacturing Practice. Guidelines on Good Manufacturing Practice specific to Advanced Therapy Medicinal Products (ATMP) 22Nov2017. Effective 22May2018. DIRECTIVE 2004/23/EC OF THE EUROPEAN PARLIAMENT AND OF THE COUNCIL of 31 March 2004 on setting standards of quality and safety for the donation, procurement, testing, processing, preservation, storage and distribution of human tissues and cells. COMMISSION DIRECTIVE 2006/17/EC of 8 February 2006 implementing Directive 2004/23/EC of the European Parliament and of the Council as regards certain technical requirements for the donation, procurement and testing of human tissues and cells. COMMISSION DIRECTIVE 2006/86/EC of 24 October 2006 implementing Directive 2004/23/EC of the European Parliament and of the Council as regards traceability requirements, notification of serious adverse reactions and events and certain technical requirements for the coding, processing, preservation, storage and distribution of human tissues and cells. COMMISSION DIRECTIVE 2012/39/EU of 26 November 2012 amending Directive 2006/17/EC as regards certain technical requirements for the testing of human tissues and cells. COMMISSION DIRECTIVE (EU) 2015/565 of 8 April 2015 amending Directive 2006/86/EC as regards certain technical requirements for the coding of human tissues and cells. Current Good Tissue Practice (CGTP) requirements under Title 21 Code of Federal Regulations, Part 1271 (21 CFR Part 1271).